Yes. Incase you’ve noticed, it’s been a while since I’ve checked in. And I apologize for it, not only to my readers but also to myself. In any case, just because I haven’t checked in – doesn’t mean I don’t care. In fact, I’ve been thinking about this blog, a lot. Not to make excuses and not to drag this out but when the summer turned up the heat in the Valley it means you get up super early (like 5 am) to hike or you don’t hike at all. And yes there were a few times I got up early, but most of the time…I didn’t hike. Why? I had a lot of personal life changes go on for me in the summer. I got a new job with a long commute and long hours, plus I was balancing two social media manager internships. I had no time to myself and was constantly stressed. And my passion – this blog got pushed on the back burner. I didn’t enjoy the internships. It was something I tried to trick myself into liking. But – at the end I had to admit to myself that I wasn’t feeling right. I wasn’t excited to do the work, like I am for this blog. So I left. And now here I am. I’m Allison Noble, but you can call me Al. 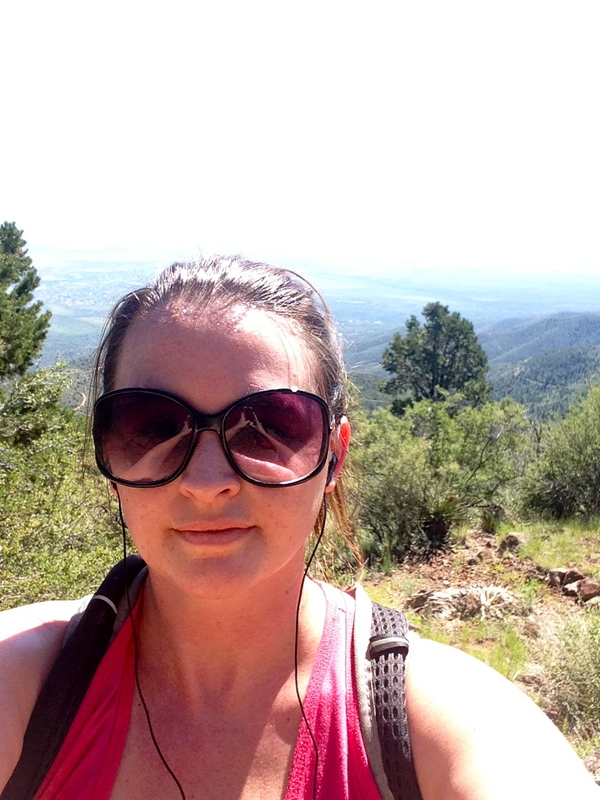 I live in Phoenix, AZ and since moving here in 2008 I discovered that I love hiking. For me, it’s a type of mediation. I love being outdoors and viewing the beauty that surrounds me. It grounds me and reminds me to keep it simple. To just breathe and take it step by step. With that said, I’m not this crazy hiking chick that you may be imagining. I’m probably a good 30 pounds over weight. I don’t run. I need breaks while hiking. And yea, when I’m done with a really good and treacherous hike, I reward myself with a burger and beer(s). You may be asking, “well do you want to be this crazy hiking chick?” The answer is yes. I’m striving to condition myself and become an advanced hiker. My ultimate goal is to do the Grand Canyon this April. But, this is me right now, starting off. It’s been over a year since I started this but I still consider myself a beginner. This is my journey. I hope to inspire people just like me to go out there more often and hike this beautiful world we live in. I want people to inspire me as well. There’s just something when you meet people who love being outside. No matter their level there’s alway this underlying acceptance and conversation for being outdoors.